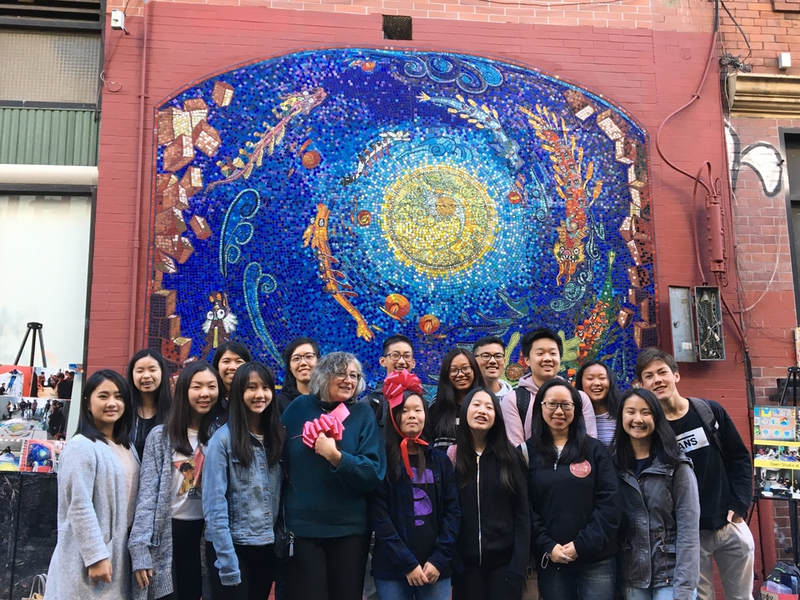 Earlier this week, roughly a dozen area high-school students in the Chinatown Community Development Center's (CCDC) youth program unveiled a new mosaic mural they've created in one of the neighborhood's alleys, as part of the ongoing Autumn Moon Festival celebration. Entitled "Dragon Boats Chasing Moonlight," the permanent installation is said to "represent the connection of hard work and dreaming big," a CCDC spokesperson told Hoodline. It can be found in Wentworth Alley, just off 750 Washington St. The mural was designed and installed by the students over a two-month span. They were assisted by Bay Area-based visual artist Margarita Soyfertis, known for her colorful mosaic pieces and public installations. 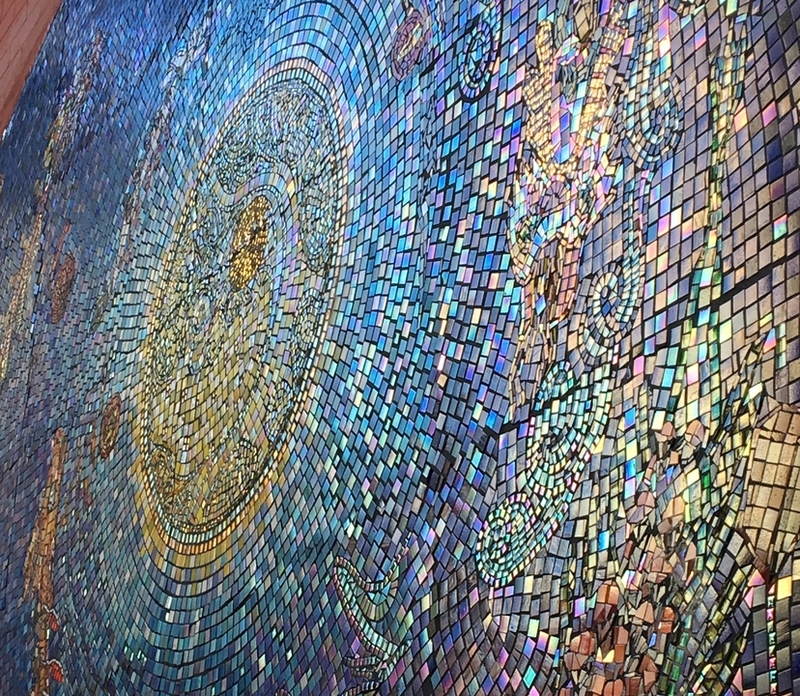 The intricate mural is comprised of more than 30,000 mosaic tiles, according to Rosa Chen, CCDC's youth leadership community organizer. The inspiration for the piece stems from "ancient Chinese legend, where teams traditionally competed against each other by racing dragon-shaped boats," according to CCDC. The mural is meant to represent aspirations for the future while working toward common goals, a thread "rooted in Chinese history, culture and the values of family and community," said a representative for the nonprofit. "People have always dreamed to fly to the moon and beyond, but our dragon boats are already there!" said Soyfertis in a statement to Hoodline. "Ancient legends are inspiring us to strive, breaking the old walls of realities, and bringing visions into life." The use of Chinatown's public spaces for art installations is intended not only to beautify the neighborhood and foster community, but as a graffiti abatement tool as well. "Chinatown CDC's youth program has been beautifying Chinatown's alleyways for the last three decades with monthly clean-ups and graffiti abatement in the neighborhood," said Chen. "This is just a small piece of the love and care that the youth in the program has for the community." Other installations along Hang Ah, Jack Kerouac and Wentworth alleys have "made the walls cleaner, and easier to maintain when we do need to remove graffiti from them," said the CCDC representative. 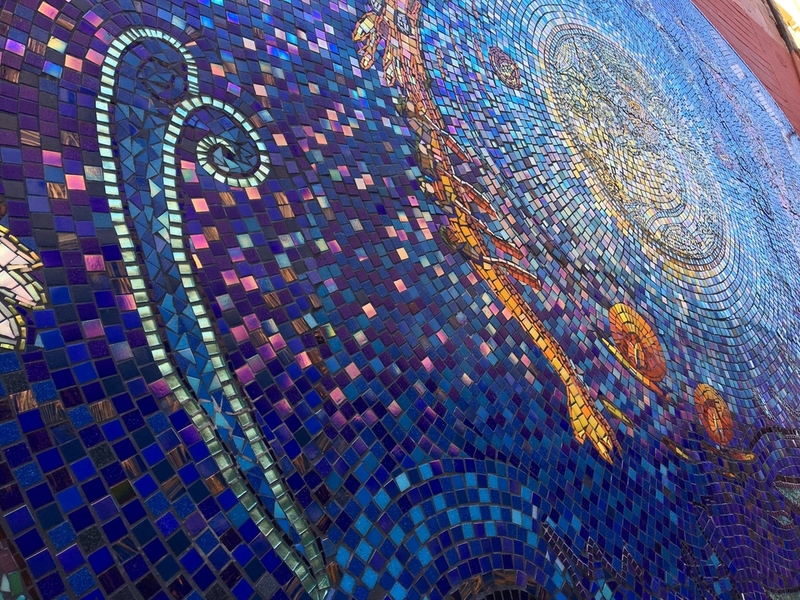 Nikki Wong, a junior at Galileo High School, said that the mosaic mural has provided an outlet for many of the neighborhood's youth. "Art is an incredible piece of work, using imagination and images to express your thoughts without using words," she said.